Exaggerated sleeves are pretty much everywhere now. It's a huge trend and I definitely jumped on board. I opted for big tiered flare sleeves with transparent sections above and below the flares. 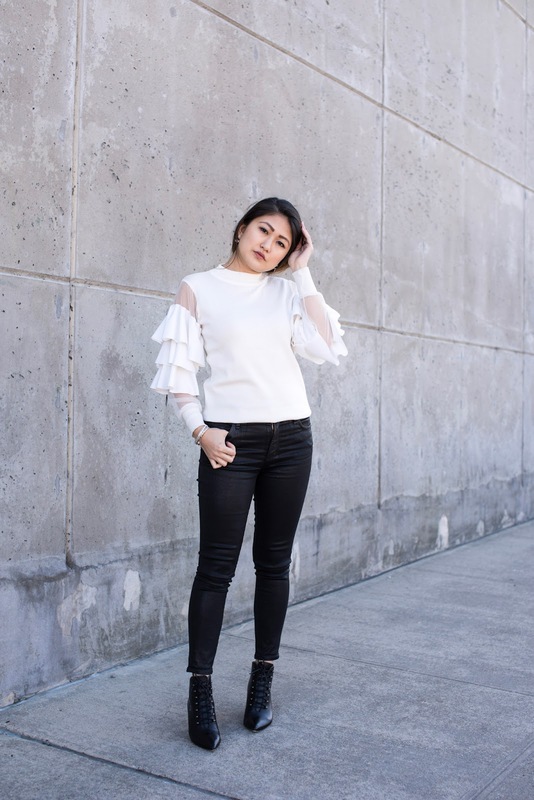 It's a super cute version of a very basic top and that makes it so easy to wear. 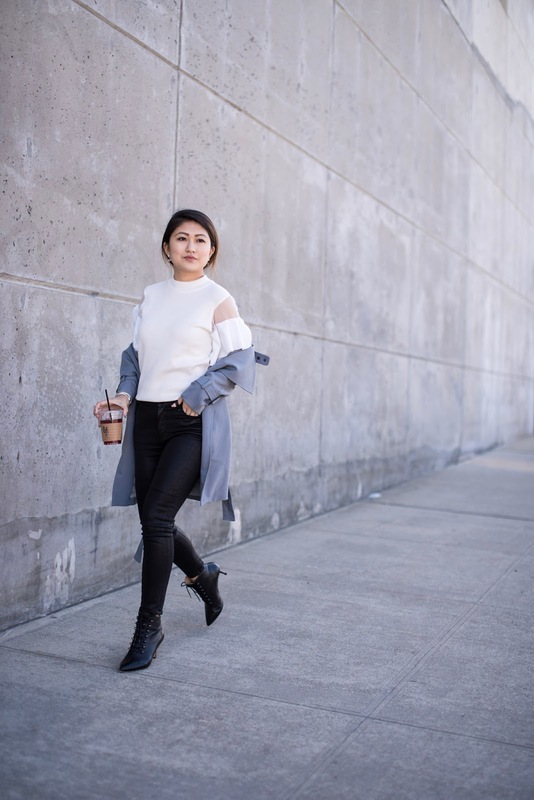 I paired it with a pair of waxed black jeans and leather lace up booties, and a grey trench on top because let's be honest...I love the sleeves and would love to wear it without a coat but the weather is not fully nice yet in New York. However, I do really love the shade of grey on this trench. It has a hint of blue, and it makes it super easy to wear in this winter --> spring transition. 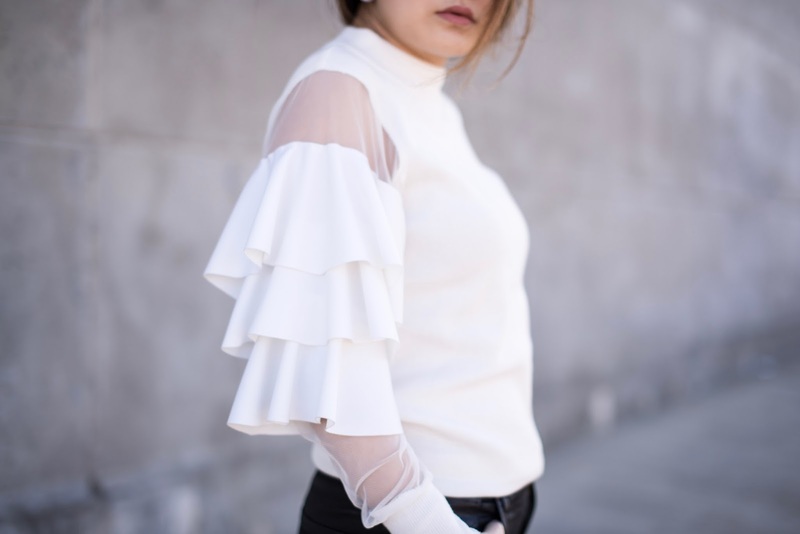 Have you tried out the exaggerated sleeves trend yet? If so, how are you wearing it?